Create the ultimate deck of heroes and villains in this exciting card battler. Card battle fans may find their newest addiction in the form of Marvel War of Heroes, a Mobage-powered and free-to-play iOS and Android title from DeNA that looks to recreate the joy of collecting superhero cards in the 90s. Launching this fall with hundreds of iconic heroes and villains, the app has an important shot at being the best comic book-themed video game on the App Store and Google Play. Considering it comes from the same company behind Rage of Bahamut, we like those odds. From what we've heard, Marvel War of Heroes is all about creating, training and leading a team of heroes and/or villains, with the goal of taking down friends and rivals through online play, where overall performance determines a person's worldwide ranking; there will also be team versus team battles. Later, you can spend some cash to pick up rare/special edition cards, along with items that boost various abilities. On top of that, you have the option of forming a guild of sorts to defeat a common threat. Nothing is concrete, but a huge fight with Galactus is a definite possibility. Online play sounds like a plan, but Marvel War of Heroes also includes a single-player campaign, divided into brand-new hero and villain storylines. The plots switch off to different characters, so one second, you'll be in deep with Spider-Man, then transition to Thor. 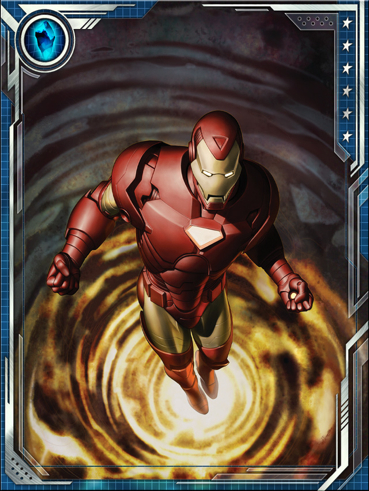 Meanwhile, you'll be able to level up these fictional icons, gain bonuses for pairing two together (Captain America and Black Widow, for instance) and even evolve one card by fusing two of the same type together. 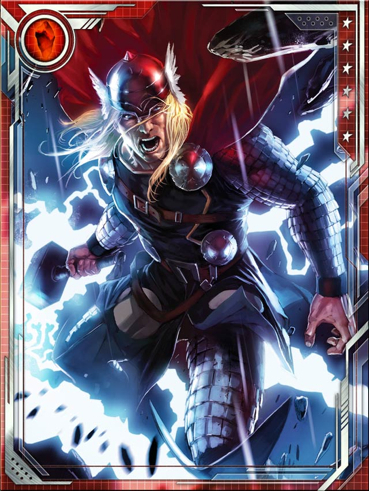 Beyond that, DeNA has worked closely with Marvel to produce brand-new artwork for all these cards, and based on the handful of screens, the images look striking, to say the least. We highly doubt fans will be disappointed. In fact, you can register for your first card by visiting the game's official website. As for the actual gameplay, that remains unproven, but we expect to see more of Marvel War of Heroes in the weeks ahead. For now, this represents a tremendous opportunity to release the card battle game scores of fans have been waiting for. If that doesn't get your Spider-Sense tingling, nothing will.